Hamish McLaren and Rebecca Morgan came 2nd overall in the Narcra this weekend, but today showed some real skill on the start line and they went on to take the gun to 2 races. The team have been training hard ahead of the upcoming Worlds in Barcelona. 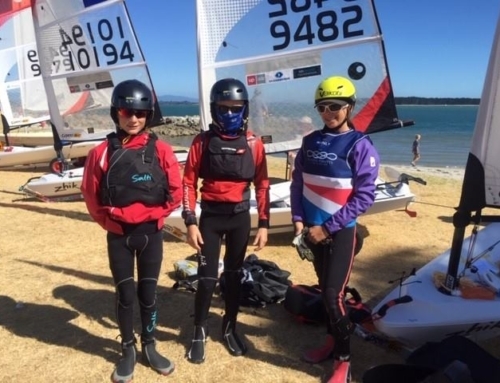 Harry Butler and Henry McLachlan competed this weekend in the Junior Sail Auckland regatta representing RAYC in the Starling class, both sailed consistently over the weekend. Harry’s best results was two 7th places and Henry placed 4th in the last race. Some solid results this weekend! Eli and Jack had a super weekend on the water winning the Junior Sail Auckland in Kohi, great result considering the old sail choice. They picked the wind and sailed consistently throughout the regatta. In the last race the trapeze harness broke but this luckily did not affect the overall results. 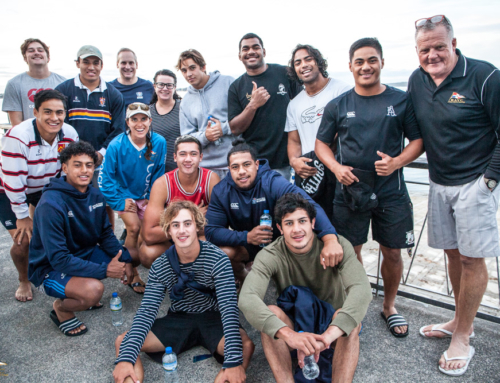 They have ended up with two podium places in the last two weekends after placing 3rd in the Oceanbridge Sail Auckland Regatta last weekend as well. Great work by our Akarana sailors!